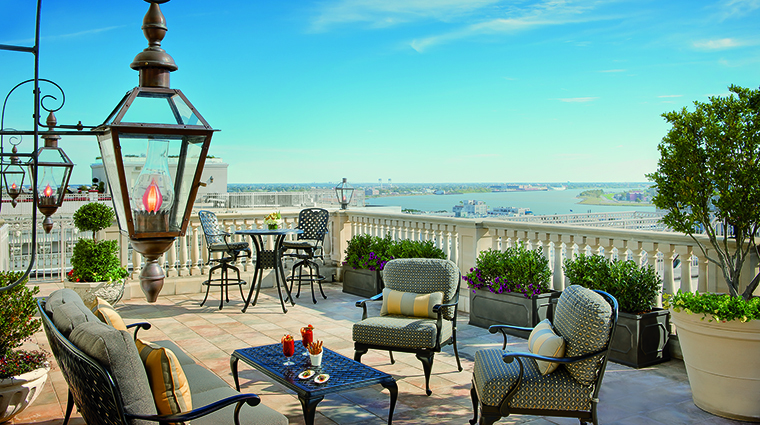 As you step into the grand, marble-clad lobby of Forbes Travel Guide Four-Star The Ritz-Carlton, New Orleans, you’ll notice a sweet fragrance that blankets the air. 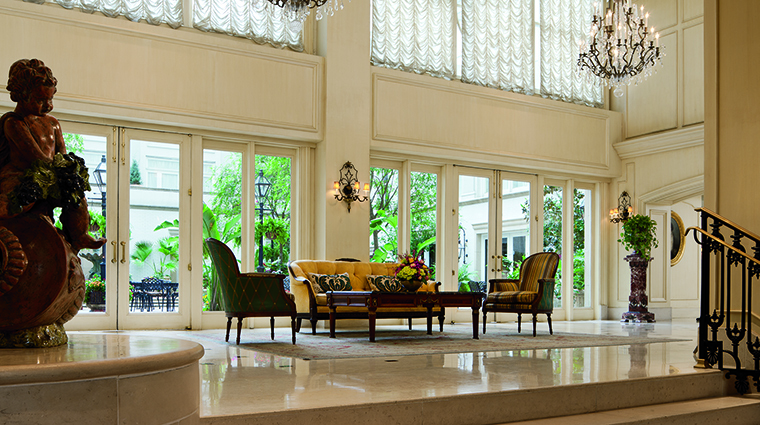 No, it’s not the towering flower display, it’s actually the intoxicating aroma of Southern magnolia, the hotel’s signature scent that welcomes you with an air of fragrant refinery. 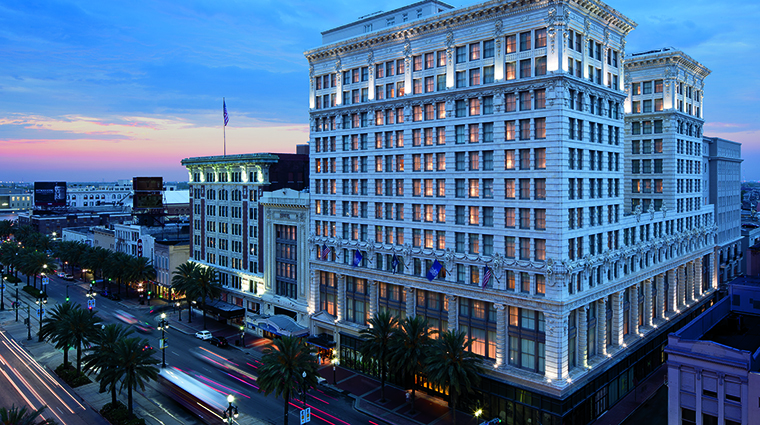 Formally the Maison Blanche department store, this Beaux Arts building emits true antebellum charm. 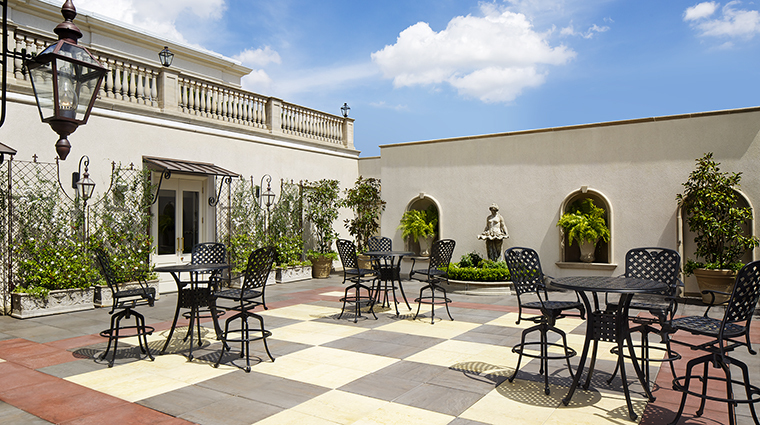 Just off the lobby lies a large courtyard, which epitomizes all things New Orleans: lush leafy plants, a gazebo and gurgling fountain — certainly a quintessential spot for slowly sipping a Sazerac or clinking French 75s. 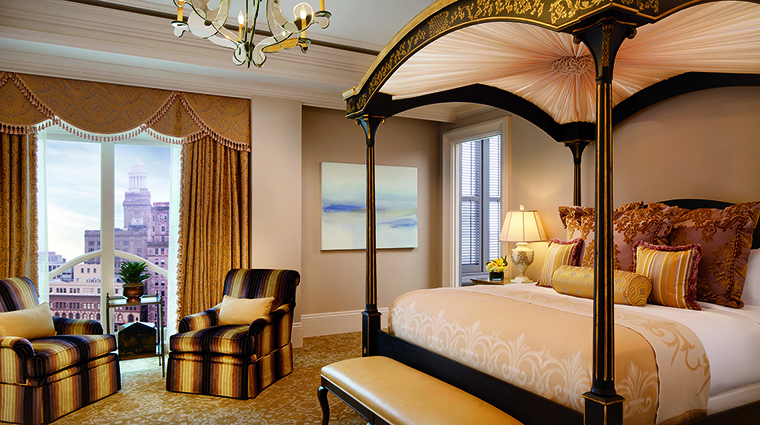 Throw in the guest rooms and suites that feel like spaces within a fine New Orleans mansion and the opportunity to soak in the jazz of legend Jeremy Davenport at his eponymous lounge, and this property embodies everything lovely about the magical Crescent City. 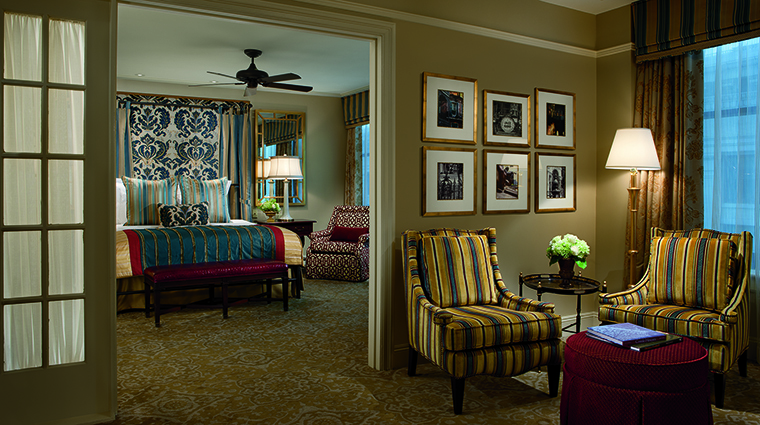 The suites boast a marble foyer entrance, a separate living space and spa-like bathrooms. 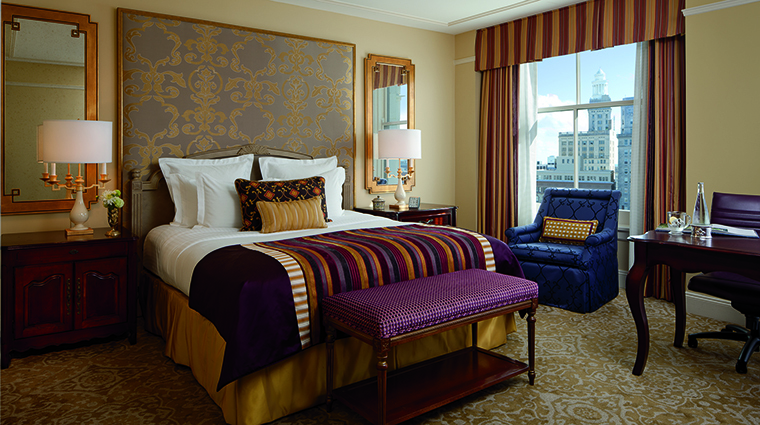 Jewel-toned furnishings, feather beds, custom artwork and Italian marble baths come standard here. 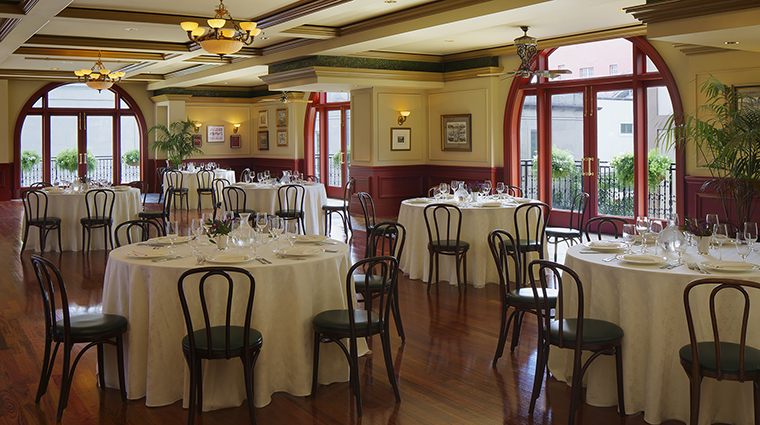 Dining standards are high in New Orleans, and the hotel’s Four-Star M Bistro rises to the occasion. 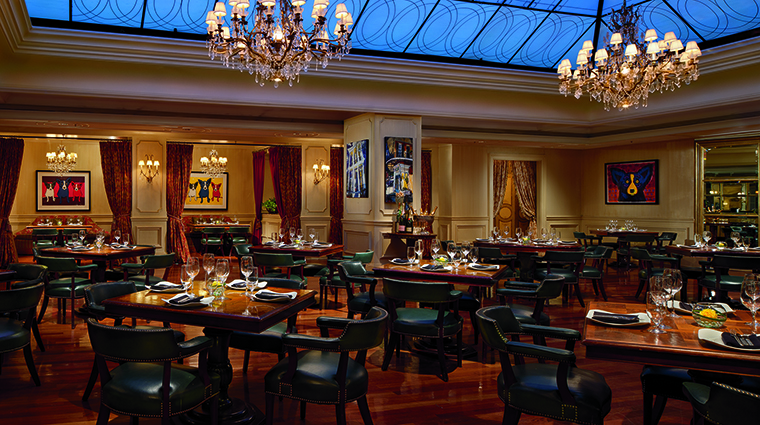 In a city that’s so heavily influenced by the French, it’s only appropriate that executive chef Thierry Connault takes a nod from his native Normandy to create the Southern-style farm-to-table menu at M Bistro. 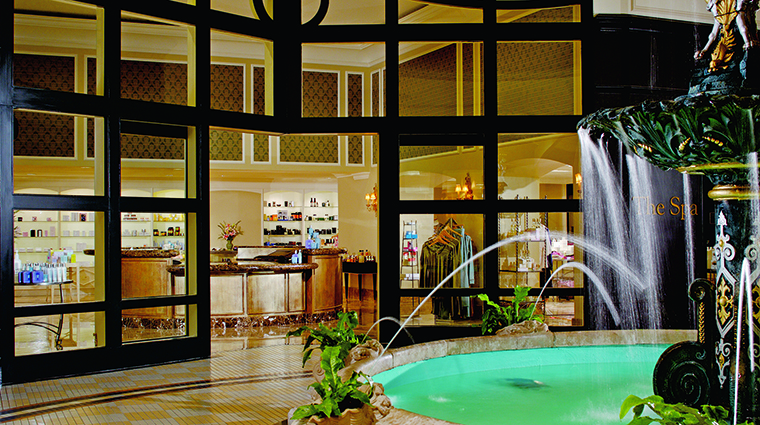 Four-Star The Ritz-Carlton Spa, New Orleans is a 25,000-square-foot European-style space that features 22 treatment rooms where more than 100 indulgent services are performed. 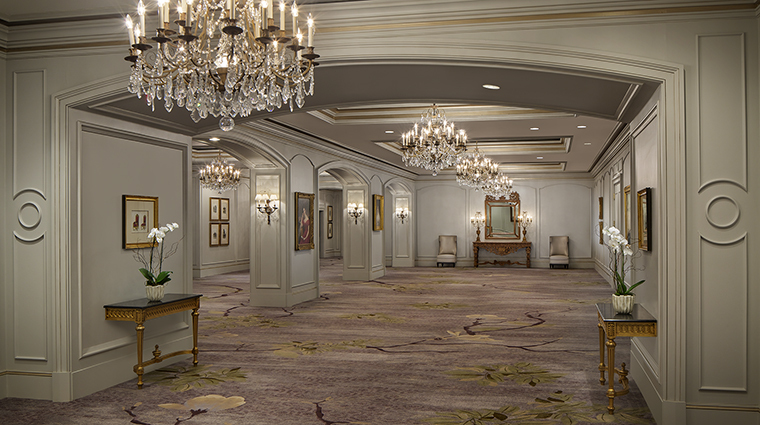 The hotel is home to a $3 million art collection featuring a French walnut piano and original Mardi Gras invitations — it’s an ideal setting for indulging in a full afternoon tea. Ask any New Orleanian where to go for great music and The Davenport Lounge is certain to cross their lips. Jazz great Jeremy Davenport headlines Wednesday through Saturday evenings where well-heeled locals mingle with hotel guests in the handsome salon. 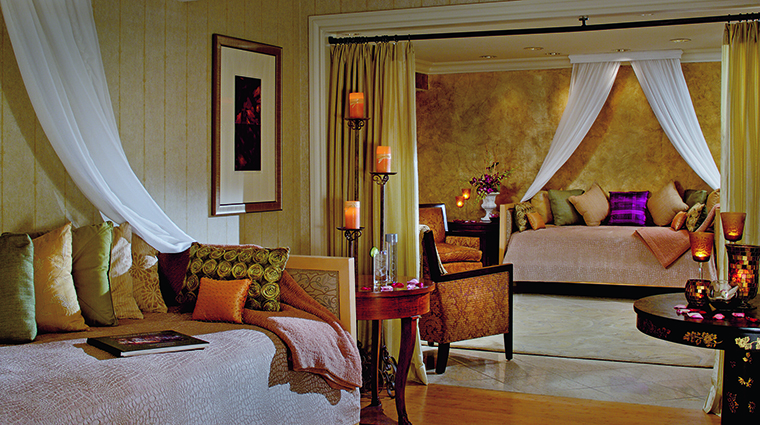 A nod to New Orleans, the spa borrows from local practices with services such as the Voodoo Massage that uses notes of absinthe and bourbon, along with cypress, moss, vetiver and incense to intoxicate and relax. Pre- or post-treatment can be spent lazing around the relaxation rooms, where daybeds are draped in rich fabrics and healthy snacks are accompanied by complimentary champagne and mimosas. There are also eucalyptus-infused steam rooms, a sauna, lemon-scented showers, a café and spa boutique. 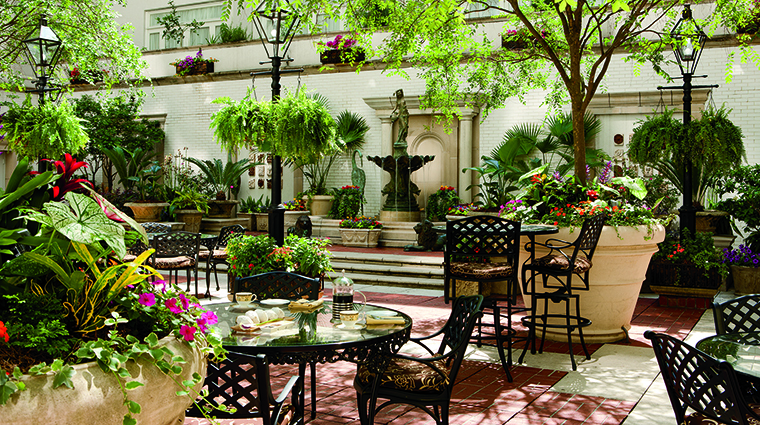 During crawfish season — a beloved time in New Orleans — the hotel’s crawfish concierge can be found hosting a crawfish boil in the courtyard, where he schools guests on how to cook, peel and eat the Southern staple. On that same note, a sno-ball sommelier is on-hand to serve your favorite flavors of this cooling NOLA dessert stuffed with ice cream or even spiked with booze. 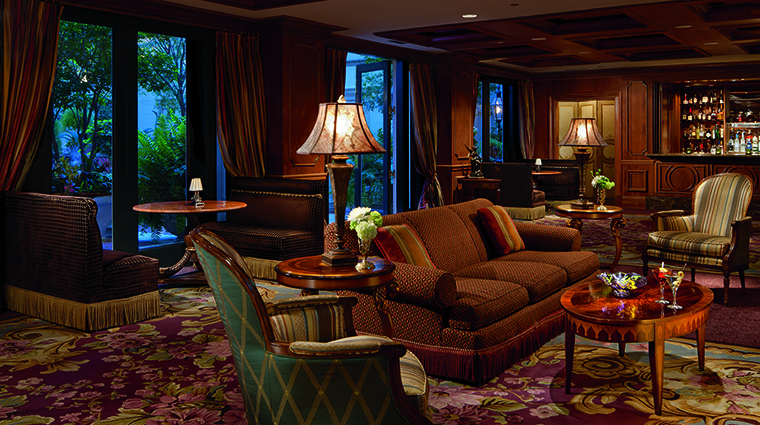 The most extravagant of accommodations can be found on the Club Level. 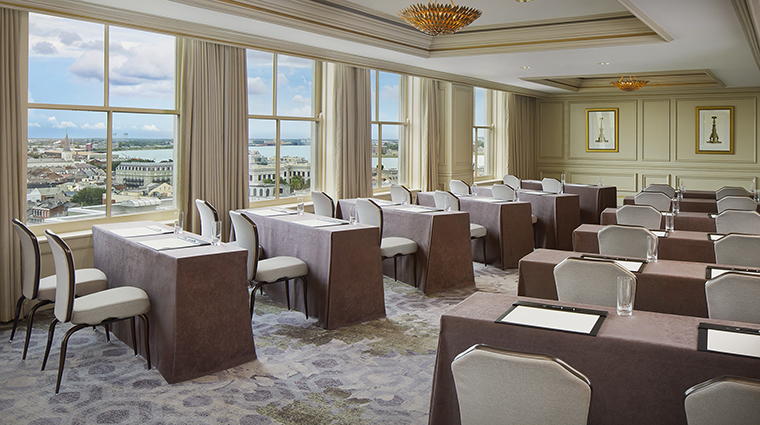 Here, you are transported to a Garden District-like residence with plush neoclassic furnishings, canopied beds, oversized tubs and floor-to-ceiling windows with views of the city. 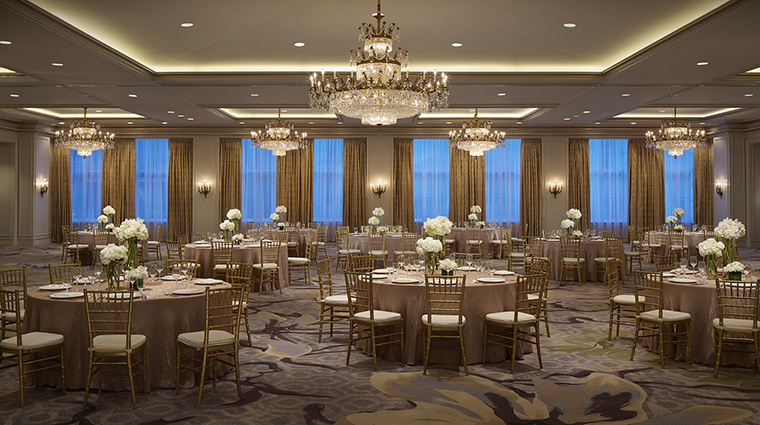 You’ll get access to The Ritz-Carlton Club Lounge, which has a host of fine wines and culinary offerings throughout the day — worth the upgrade come cocktail hour when you’re sipping a Côtes du Rhône and nibbling on a rare Comté. At M Bistro, rise to a Cajun Benedict (blackened crab cake, tasso, cheddar grit cake with hot sauce gravy) and settle into handsome leather banquettes during lunchtime for the M Bistro burger, served with aged cheddar, pecan-smoked bacon and comeback sauce. For dinner, M Bistro offers a more discreet dining option with three velvet-draped “Cheater Booths” where guests can be found tucking into seafood remoulade with poached Gulf seafood and jumbo lump crab meat, along with charbroiled oysters and a Chappapeela Farms grilled pork chop with bourbon-glazed sweet potatoes, field peas and smoked ham broth. At the Davenport Lounge, you can sip seasonal cocktails and snack on small, shareable bites like pimento cheese on toast or an artisanal cheese plate. 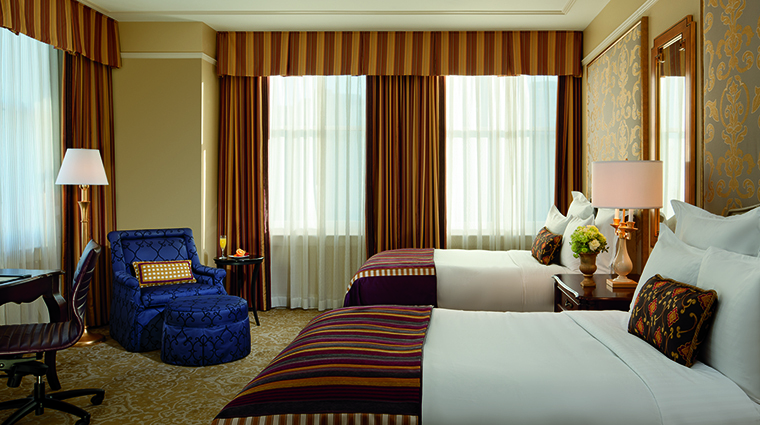 Then, sink into the plush furniture and surrender to the sweet sounds of the city’s most beloved trumpeter.